On a bright sunny day (21 Feb. 2018), the European Parliament’s ITRE Committee voted on the Electricity Market Regulation and Electricity Market Directive. Please find here a more detailed summary of the vote results. The ITRE Committee has also approved MEP Krisjanis Karins’s mandate to start negotiating with the Council on both the Directive and Regulation. Inter-institutional negotiations (trilogues) will therefore start in the following weeks and be concluded in the second half of 2018, under the mandate of the Austrian presidency of the EU Council. Minimum, binding 35% EU RES target at EU level. With the help of “benchmarks”, Member States should define their 2030 national targets, which together, should add up to an EU-wide 35% target. EU countries would be allowed to deviate from their targets by maximum 10% only in “exceptional and duly justified circumstances” and provided that they send a notification to the EU Commission by 2025. The Commission would need to take corrective measures if, as a result of Member States’ notifications, the EU 35% target is at risk of not being met. Member States should be able to choose between technology neutral or technology specific support schemes for energy from renewable sources. As for support to electricity from renewable sources, exemptions from the use of market premiums should continue to be possible for projects below 500 KW and exemptions from the allocation of support via tenders should continue to be possible for installations below 1 MW (different numbers for wind). Member States should publish schedules of support for the 5-years ahead. Support schemes should not be changed retrospectively. Changes should be announced at least 9 months before they enter into force and they should involve a public consultation process. Member States should provide compensation to supported projects in case regulatory changes such as electricity tariff redesigns and increased curtailment levels affect such projects in a “significant or discriminatory manner”. Member States should make sure that RES projects below 8 KW can be connected to the grid following a notification to the local grid operator. Developers of projects between 10.8 KW and 50 KW should send a notification to the local grid operator. If no answer is made within two weeks or in the case of a positive answer they would then be able to connect. However, within two weeks, the local grid operator has the possibility to reject the new connection on “justified grounds” or propose a solution. Project developers may at that point decide to go through the normal authorisation procedure. Authorisation procedures for projects between 50 KW and 1 MW should be digitalised, involve a single contact point and last maximum 1 year. Authorisation procedures for projects above 1 MW should be as above and last maximum 3 years. Member States should allow consumers to become RES prosumers, either individually or collectively. Prosumers should be exempted from the requirement of obtaining a supply licence provided they inject into the grid max 10 MWh/year at individual level or 500 MWh/year collectively. Excess generation should be remunerated at least at the market. Electricity consumed “within their premises” should not be liable for “any charge, fee, or tax”; complementary storage systems should not be charged either; however, the text is ambiguous as to prosumers’ contribution to network. “Premises” are broadly defined as residential area, commercial, industrial and shared services site, or closed distribution. Third party ownership of on-site plants should be allowed and barriers to the adoption of decentralised RES by low-income consumers or tenants should be removed. Member States should allow consumers to join RES communities. Communities should be composed of at least a majority of local actors and they should not be allowed to install more than 18 MW within 5 years. Member States should make sure that RES plants installed after 2020 are not double- compensated. Issue and then cancel GOs associated with subsidised RES. In the framework of a corporate PPA, give the GO directly to the corporate buyer. Member States should assess and lift barriers to corporate RES procurement and make information available to the public. Member States should reach a 12% RES in transport targets by mandating fuel suppliers to sell a certain share of renewable energy to the transport sector – RES electromobility can be part of that RES share. Munich, 30 May 2017 – SolarPower Europe today launched the ‘Global Market Outlook for Solar Power 2017-2021.’ The report confirms that 2016 was another record year for solar, with global annual solar additions growing by 50% with 76.6 GW installed. There is now a total worldwide solar power generation capacity of 306.5 GW. SolarPower Europe foresees that solar will continue its growth in 2017. «Despite the gigantic leap that resulted in the more than 50% growth year on year of annual solar installations in 2016, there is a good chance that the market could even pass the 80 GW mark in 2017,» said Watson. The quickly decreasing cost of solar continues to improve its competitiveness and is a major driver for solar’s global success story. All solar tenders awarded since 2016 are lower than the price guarantee the UK government signed for the Hinkley Point C nuclear power plant last year. A new world-record low 25-year solar power supply contract was awarded in Abu Dhabi in 2016 for 24.4 USD/MWh (2.4 US cents/kWh). This is reflected in this year’s report being more optimistic on solar growth than previous editions. «If policy makers get things right by addressing the needs for a smooth energy transition, such as through establishing the right trade policy, electricity market design and renewable energy frameworks, solar demand could increase much faster, and touch nearly 1 TW of total generation capacity in 2021,» said Michael Schmela, Executive Advisor at SolarPower Europe and lead author of the Global Market Outlook. The International Renewable Energy Agency (IRENA) finds that renewable energy employed 9.8 million people around the world in 2016 – a 1.1% increase over 2015. Jobs in renewables excluding large hydropower increased by 2.8%, to reach 8.3 million in 2016. China, Brazil, the United States, India, Japan and Germany accounted for most of the renewable energy jobs. The shift to Asia continued, with 62% of the global total located in the continent. Solar photovoltaic (PV) power was the largest employer, with 3.1 million jobs, up 12% from 2015. The growth came mainly from China, the United States and India, whereas jobs decreased for the first time in Japan, and continued to decline in the European Union. New wind power installations in the United States, Germany, India and Brazil, meanwhile, contributed to the increase in global wind employment by 7%, to reach 1.2 million jobs. Liquid biofuels (1.7 million jobs), solid biomass (0.7 million) and biogas (0.3 million) were also major employers, with jobs concentrated in feedstock supply. Brazil, China, the United States and India were key bioenergy job markets. Jobs in solar heating and cooling declined 12% to 0.8 million amid an installation slowdown in major markets such as China, Brazil and the European Union. Large hydropower employed 1.5 million people (direct jobs), with around 60% of those in operation and maintenance. Key job markets were China, India, Brazil, the Russian Federation and Viet Nam. In addition to the annual update on jobs in the sector, the report includes findings from a workplace survey in the Middle East and North Africa on barriers to women in clean energy labour markets. Although gender discrimination seems less pronounced in renewable energy employment than in the energy sector at large, challenges remain for women in regard to employment and promotion. IRENA conducted the survey with the Clean Energy Business Council (CEBC) and Bloomberg New Energy Finance (BNEF). Brussels, 3 February 2017 – European countries installed around 6.9 GW of solar power systems in 2016 – a 20% decrease compared to the 8.6 GW that was grid-connected in 2015, according to SolarPower Europe, the association of the solar power sector in Europe. In the same period, the global on-grid solar power market grew by about 49% to around 76.1 GW in 2016, from about 51.2 GW in 2015. The world’s largest solar market in 2016 was China, which officially added 34.2 GW, over 125% more than in 2015. 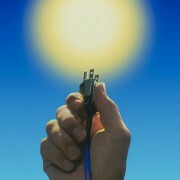 It was followed by the US with estimated solar power additions of 14 GW, up from 7.3 GW the year before. Japan was ranked third, reaching around 8.6 GW, ahead of India with 4.5 GW. Alexandre Roesch, Policy Director at SolarPower Europe says, «After having inspired so many regions in the world, Europe needs to find its own inspiration again and act as the leader of the energy transition. 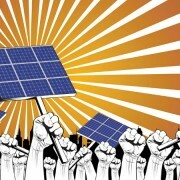 We need to build a major industrial project around solar and renewables. To start with, increasing the 2030 renewable energy target to at least 35% will send a strong signal that Europe is back in the solar business». These solar market data are a first estimate from SolarPower Europe for 2016 solar power on-grid installations that are based on official data from government agencies whenever possible. 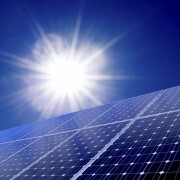 If such information was not available from primary sources, SolarPower Europe has gathered data mostly through its members, comprising national solar associations and corporations, as well as with help from international association members of the Global Solar Council in America, Africa and Asia Pacific. An update for the 2016 solar market numbers will be released in the SolarPower Europe Market Report 2016 during the SolarPower Summit on 7-8 March 2017 in Brussels. 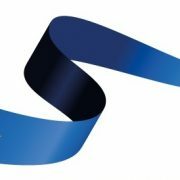 A 5-year solar demand forecast until 2021 will be published in SolarPower Europe’s ‘Global Market Outlook For Solar Power 2016 – 2021’ with the support of the Global Solar Council, which will be launched at the Intersolar Europe trade fair in Munich on 30 May 2017. Brussels, 26 January 2017 – Today in a meeting of the EU Member States trade experts, the European Commission’s proposal to extend trade measures on solar panels and cells imported from China, Taiwan and Malaysia was defeated. More than half the Member States of the EU voted against extending the measures and instead for the first time in history the proposal of the Commission is subject to an appeal from the Member States. This process, whilst never used before, is likely to put increased pressure on DG Trade to change their position. 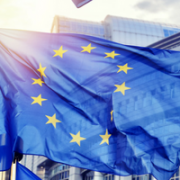 The European Commission must now consider what changes they need to make to their proposal before facing another vote by the Member States in a couple of weeks. After 50 GW of PV installations in 2015, the global PV market reached 75 GW in 2016, a 50% YoY growth, with now a total capacity installed globally crossing the 300 GW mark. China, leading the PV market since 2013, installed in 2016 an absolute world record of 34 GW, representing an increase of 126% YoY and 45% of total global deployment. Given China’s total installed capacity of 77 GW, PVMA estimates that China will have exceeded the 100 GW mark by the end of 2017, if not even earlier. Japan has installed about 8.6 GW of PV in 2016, down 10.8 GW in 2015. 2017 might show a further decrease but the market is expected to reach 7.5 to 8.5 GW, due to current project pipelines. The US market experienced major growth with installations possibly reaching 13 GW, however PVMA anticipates significant uncertainties for the coming years. Europe installed around 6.5 GW, driven primarily by the UK market, Germany, Turkey and France. A relatively low deployment has pushed Europe’s global PV market share to below 10%. India experienced significant growth with 5 GW installed in 2016, up from 2 GW in 2015 and is expected to add up to 8 to 9 GW in 2017. As anticipated, several emerging markets on all continents started to contribute significantly to the global growth with at least 7 GW installed. Other American and Asian countries contributed significantly while the Middle-East and Africa start to deliver. 2017 could become a challenging year with at least 65 GW installed in a pessimistic scenario (a market drop of 13%). Reasonably, a similar level of installations as in 2016 could be reached if established markets maintain a reasonable level of development. A declining or stable market is likely to cause that module prices will continue to remain under pressure with new production capacities coming online, thus increasing further the gap between supply and demand. These numbers are DC numbers and refer to grid connected PV systems, not installations and not shipments of PV components which can deliver slightly different results. Brussels, 12 October 2016 – Today, over 400 European companies covering all EU Member States sent a letter to European Trade Commissioner Cecilia Malmstrom, asking her to end the trade measures in place since 2012 on Chinese solar modules and cells. 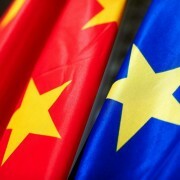 The case represents the largest ever trade dispute between the EU and China and seriously impacts the possibility for Europe to reach its climate objectives. The Expiry Review into the trade duties placed on solar modules and cells originating in China is currently ongoing and due to be completed by March 2017. Brussels, 5 July. 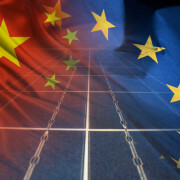 Today 34 solar and renewable energy organisations sent a letter to Commissioner Malmstrom calling on the European Commission to end punitive trade measures on Chinese solar panels and cells. 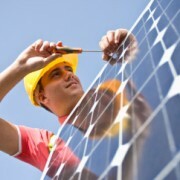 The organisations, representing over 1.3 million European jobs and more than 120,000 European companies, believe that the measures are having a negative impact on the solar sector in Europe. The organisations represent 20 European Union Member States: Bulgaria, Cyprus, the Czech Republic, Denmark, Estonia, Germany, Greece, Hungary, Ireland, Italy, Latvia, Malta, the Netherlands, Poland, Portugal, Romania, Slovakia, Slovenia, Sweden and the UK. This gives the support for removing the measures almost blanket coverage of the EU Member States. The Commission must make a recommendation on the solar trade measures at the beginning of 2017, which is subject to approval from the Member States. Trade duties have been in place since 2013, alongside a minimum import price agreement.